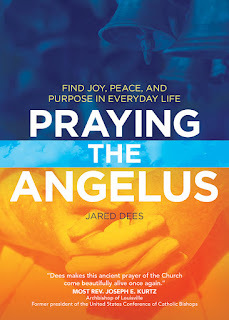 My knowledge of the Angelus prayer was minimal at best before reading Praying the Angelus by Jared Dees (Ave Maria Press, 2017). I doubt that I am alone in that regard. Dees, a high school theology teacher, describes his own confusion when first listening to the Angelus in Latin when in Rome and then learning about the prayer from a priest in his parish who was guest teaching in his religious education program. This was the start of a transformative personal journey for the author in which he would begin incorporating the prayer, offered at six a.m., noon, and six p.m. each day, into his daily routine. 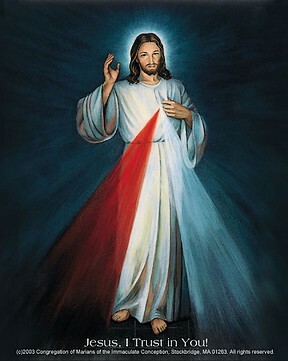 The fruits of that experience led him to want to share this beautiful devotion with others. Dees shares the history of both of these prayers as well as provides a line by line explanation and reflection for each line of the prayers. 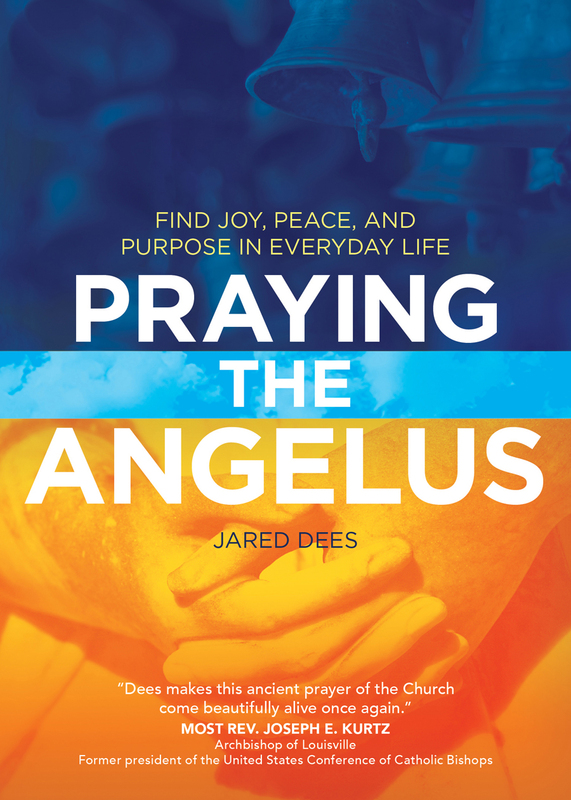 Whether or not one ultimately chooses to incorporate the Angelus into one’s daily devotions, Dees’ discussion of the value of repetitive prayer is worth reading and pondering. Being committed to a structured daily prayer practice which requires you to interrupt your day with prayer at regularly scheduled intervals has the power to transform your life. He also makes some important observations about the value of devotions in passing the Catholic faith down to our children. 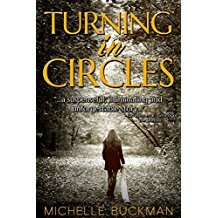 Michelle Buckman is known for her finely crafted works of Catholic fiction. This latest offering continues that tradition. Two of the characters in “Turning in Circles” were inspired by other creative works. “Beard” was inspired by Dolly Parton’s song “Joshua” while Ellerbe DePaul finds his roots in Earl Hammer’s John-Boy Walton. As a result, I couldn’t help but picture him as Richard Thomas from “The Waltons” television program while I was reading. That being said, this tragic story is primarily about two sisters, Savannah and Charleston, who live in a small Southern town and are only ten months apart in age. When Charleston begins to court the attention of Dillon Smith, a known bully and troublemaker, it sets in motion a string of bad choices that build one onto another, leading down a treacherous road. This is a thought-provoking cautionary tale of the way sin and self-inflicted pain can subtly enter our lives and then become a trap we can’t escape. Savannah, the narrator, is mainly a bystander, watching her sister’s spiral, feeling powerless to do anything about it. Yet, she too feels complicit, wondering if she could have made different choices and created a different ending. Several years ago, I had a spiritual director who encouraged me to reflect on the following question: “Where did you find God today?” That is the question at the heart of Andy Otto’s new book, God Moments (Ave Maria Press, 2017). Otto, who has a master’s degree in theology and ministry, is a Catholic writer, speaker, blogger, spiritual director, and podcaster who teaches theology and is the campus minister at Mercy High School in Red Bluff, California. He spent almost three years as a Jesuit seminarian before discerning he was called to marriage. In this book, he seeks to share Ignatian spirituality based on awareness of God’s presence, the importance of prayer, and discernment of our vocation and important life decisions. God has given each one of us good things and can and does use our encounters with the everyday to speak to us. God can speak to us through other people, things we read, and the beauty of creation. He can even speak to us in the messiness of life, in those difficult moments we would rather not endure. Only once we have prayed and tuned into God’s movement in our lives can we truly discern what God wants us to do. “Discernment is a form of decision-making that involves God’s desires and my desires.” Otto emphasizes that discernment is for choosing between two morally good choices. He also acknowledges that “sometimes we have to decide to give up on our desires because there are more important things happening.” In those instances, God can help us discover a new dream. God Moments is particularly relevant for younger adults who are still trying to figure out where God might be calling them in terms of vocation, but Otto’s work also serves as a reminder for the rest of us to look for God in our everyday lives. 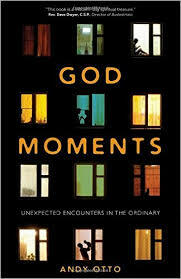 God Moments is recommended for anyone seeking to be more aware of God’s movement in his or her life.